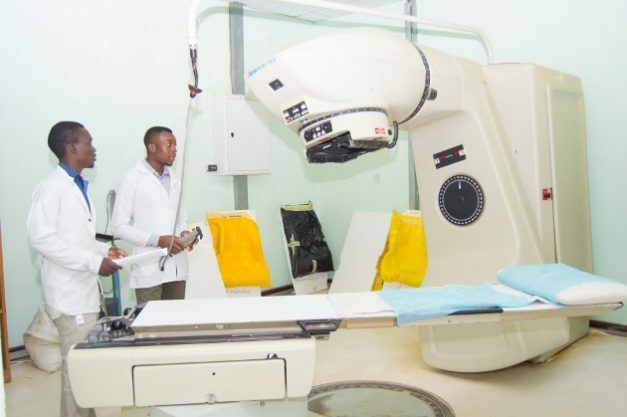 Staff at the Cancer Diseases Hospital in Lusaka prepare a radiotherapy machine for a patient. Dmitri Vysotski, Director of Nuclear Research Reactors, Rusatom Overseas, answers important questions on nuclear technology’s contribution to society. 1. Zambia has for a long time sought to substantially grow its manufacturing industry. What role can nuclear science play in helping to develop this sector? Global experience has demonstrated that the development of nuclear technology has contributed to substantial technical progress in numerous social and economic fields. The development of nuclear also encourages the creation of high-tech sectors in the economy. It is capable of, improving the quality of education, creating new highly-paid jobs and the emergence of new specialists. 2. Nuclear radiation is used to sterilize and prolong the shelf life of fruits and vegetables in some countries. How safe are these foods for consumption after exposure to this radiation? Food irradiation (the application of ionizing radiation to food) is a technology that improves the safety and extends the shelf life of foods by reducing or eliminating microorganisms and insects. Like pasteurizing milk and canning fruits and vegetables, irradiation can make food safer for the consumer. Unlike traditional forms of food preservation nuclear techniques do not cause changes to the taste, appearance, nutrition value and final quality of food. After many years of research and the development of domestic and international standards, more than 60 countries worldwide have regulations allowing the use of irradiation for food products. Irradiation destroys disease-causing bacteria and reduces the risk of food borne illnesses. 3. What would you say are some of the major challenges of using nuclear technology in food processing and how can they be overcome? Two UN special organizations, the International Atomic Energy Agency and the Food and Agriculture Organization, strengthen UN Member States’ national capacities in applying irradiation for food safety and quality. The two organizations are also working closely with the International Plant Protection Convention (IPPC) and the Codex Alimentarius Commission to harmonize worldwide irradiation standards. 4. The Sterile insect technique (SIT) was successfully used to control harmful pests in Chile in the 90s. What does this technique involve, and can it be used to eradicate other agricultural pests like the Tsetse fly hindering livestock farming in some parts of Zambia? Indeed, radiation is used to control insect populations via the Sterile Insect Technique (SIT). This involves breeding, and then sterilizing ‘neutering’ large populations of insects through irradiation (gamma or X-rays), and then introducing them into natural populations. After several cycles of breeding between sterilized insects and ‘regular’ ones, the population becomes extinct. The SIT technique is environmentally-friendly, and has proved to be an effective means of pest management even where mass application of pesticides have previously failed. With the help of nuclear technologies African countries are now winning the battle against the livestock menacing flies. The Tanzanian island of Zanzibar was among the first African regions to use radiation against the tsetse fly with great results – Zanzibar is now tsetse-free. Since 2014 when the technique was introduced there, studies have shown that the total number of all cattle breeds have increased by roughly 38%. These figures are truly impressive, as most rural households earn more than 20% of their total income from the livestock business. By implementing the same methods Senegal has in four years declared some its regions totally tsetse free. Ethiopia has also chosen this option, which has already helped to bring down the fly population by 90%. Another benefit of using SIT over blanket pesticides is that one specific problem insect can be targeted and irradiated without harming other insects and animals that are crucial to the wellbeing of the environment. 5. How else can nuclear technology help improve agricultural production? What are some of the success stories with regard to this (Nuclear technology helping agriculture)? The examples are rather vivid. Close cooperation between farmers and scientists in Benin have brought about impressive results. Local famers have seen their crop yields triple or quadruple, which is fantastic result for the country, which is highly dependent on soybean exports. In Benin, soybean farmers were able to triple their income using the benefits of nuclear irradiation. The implementation of nuclear techniques also made it easier to regulate the amount of nitrogen in the soil, which is necessary for healthy plant growth. Using radiation technologies Tanzania enhanced significantly its crop productivity, for instance, banana yield multiplied through radiation-induced mutation. The technique improved varieties of basic crops such as rice and banana shielded from viruses and insects. 6. Aside from cancer treatment, are there any other uses of nuclear science in medicine? Nuclear technologies in medicine are not limited to cancer treatment. Nuclear technologies are also used to sterilize medical products, test new pharmaceuticals and medical imaging. The medical imaging with use of nuclear technologies includes Positron Emission Tomography (PET) and Single Photon Emission Computed Tomography (SPECT), which make it possible to scan human bodies in a much more accurate way to detect any abnormalities and tumors at the very early stage. These technologies can be used to examine diverse conditions like blood flow to brain, functioning of liver, lungs, heart or kidneys, and to determine primary oncological disease as well as assess the presence of metastases, etc. Diagnostic procedures using radiopharmaceuticals have become common practice around the world. 7. With an abundance of mineral resources, Zambia is predominantly a mining country. How can atomic technology be employed in this sector and help its growth? Nuclear technologies are used widely in the mining industry. For example, radioactive sources are used in non-destructive testing of pipeline blockages and welds; in measuring the density of material being drilled through; in testing the dynamic characteristics of blast furnaces, in the measurement of combustible volatile matter in coal, and for on-stream analysis of a wide range of minerals and fuels. Mining companies also use radionuclides to locate and quantify mineral deposits, to map geological contours using test wells and mine bores, and to determine the presence of hydrocarbons. The mining sector in Zambia currently consumes a considerable amount of the country’s generated electricity, which puts the existing energy sector under immense strain. The country is also currently looking into expanding on its mining sector and to beneficiate its own raw materials, which in turn will create more jobs and grow the economy, however beneficiation of copper for instance requires huge amounts of constant and reliable electricity. The development of nuclear energy in the country would provide large amounts of clean, reliable and cost effective electricity, which would have a direct positive impact on the mining sector.